300 meter from Radhe Radhe chowk, Opposite to Ajima Petrol pump. A newly built earthquake resistant house located at peaceful location parking space available,shutter available for business purpose,Parking space for car and bikes,Vessel filter, Balcony in two fllors, 15,000 ltr. capacity of water reserve tank. Well and government water supply is present for water 13 ft. road infront of house. 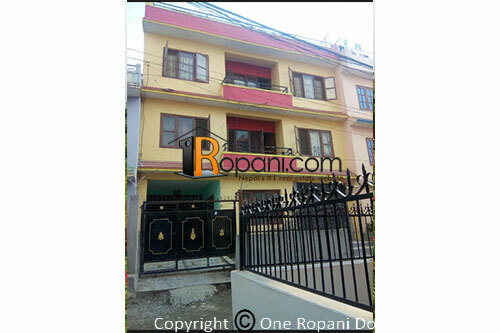 Good access to supermarket ( bhatbhateni ), School ( Birendra Sainik, Glory ), Hospital ( KMC ), Temples , Banks.